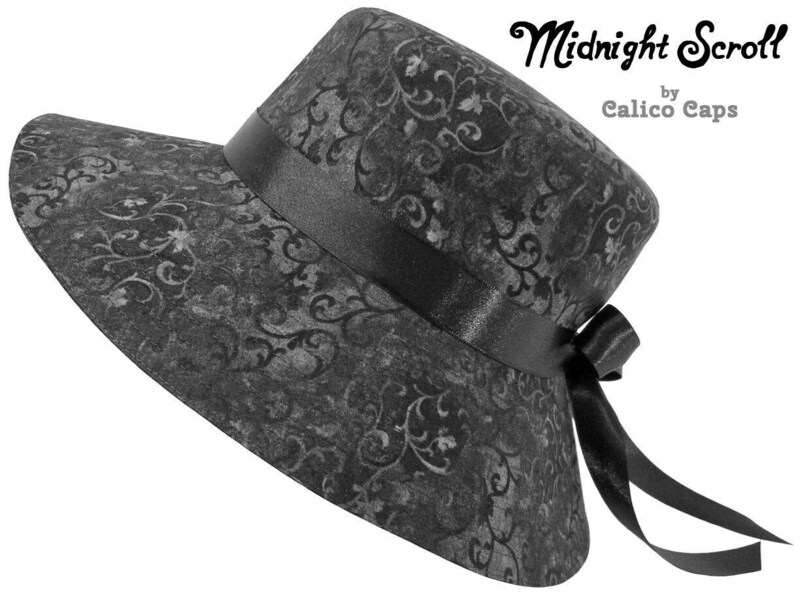 This hat is called "Midnight Scroll"..... 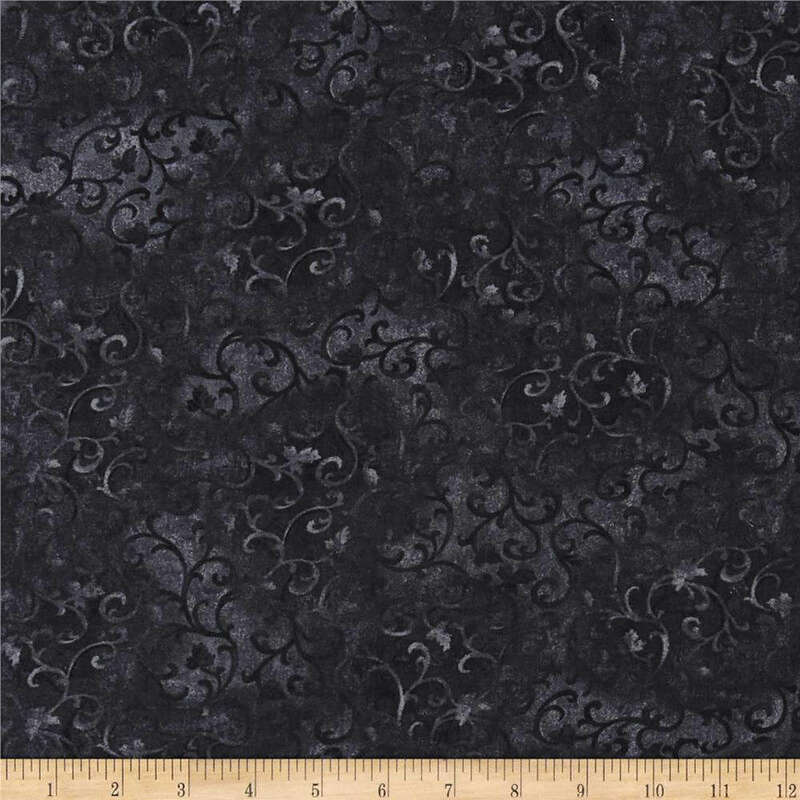 Many shades of black to gray in this interesting florentine scroll pattern print. Sleek and elegant with a classy, gothic, Victorian vibe. Black top-stitching, decorated with a bright black double-faced satin ribbon that is shiney on both sides and can be cut/trimmed without fraying. It isn't permanately attached so it can be retied, removed, or swap it for another color - just mention any preference at check-out. Finished with black grosgrain band on the pretty black-on-black cotton floral print lining. 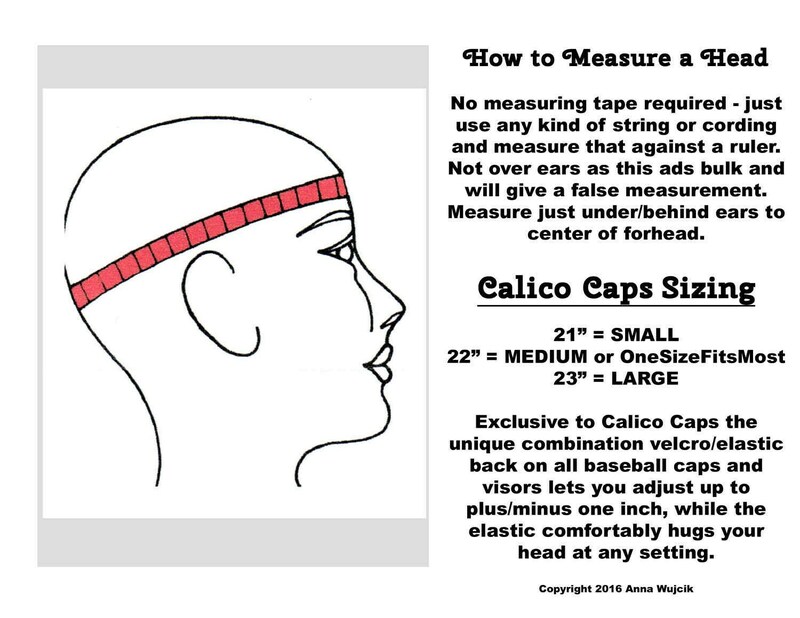 This one-of-a-kind hat has an inner circumference of 23 1/8 inches. Packaged in a glossy white windowed gift box. 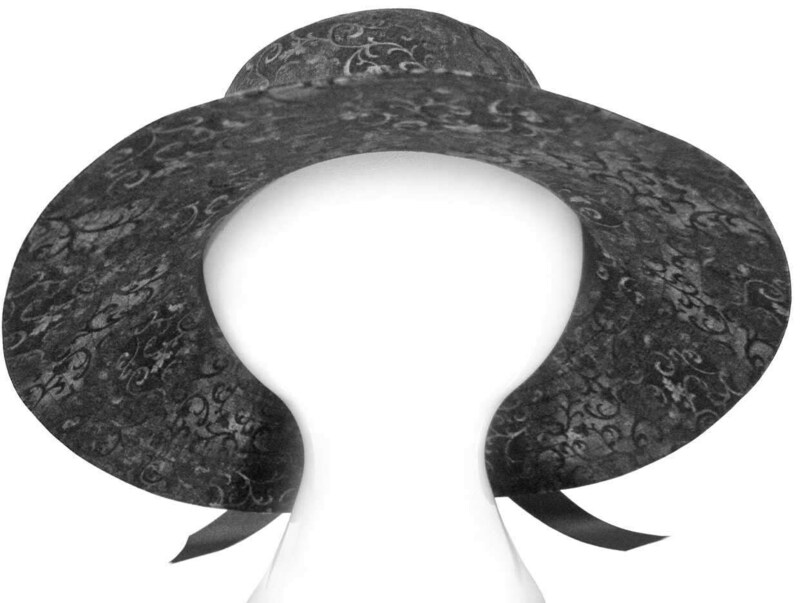 THE FLOPPY HATS are sized a bit larger than the baseball caps to be very comfortable (and not smash your hairdo). They are cut on the bias to give them a bit of flexibility, but not an elastic "stretch". The inner circumferance on this hat is 23 1/8".